Ever feel like maybe your doctor doesn't know it all? Spiritual healing methods are not something you'll be taught about at your local healthcare clinic but their value goes way beyond anything you can get from a bottle or a pill. All joking aside though, I'm not a doctor and I don't know your health conditions. I believe in the value of spiritual healing methods but you must take full responsibility for your own health and well-being. If you have concerns, consult a holistic health practitioner. This is not the only path to healing and I recommend combining both spiritual and physical techniques for best results. Ok, there are three things you need to understand and take on board before we move on. Your body is hard-wired to fix itself, given the right physical and energetic conditions. God is omnipotent (all-powerful), therefore with God, all things are possible. God is the healer and the human is merely the instrument (important to remember if you are helping with someone else's healing). So, with all those introductions and disclaimers taken care of, let's take a look at these spiritual healing methods one by one. A thoughtform is something that you create using the power of your imagination - your thoughts - hence the name 'thoughtform'. It helps to close your eyes to 'see' this thoughtform surrounding whatever it is that needs healing energy. It might be a specific part of your body, or someone else's body, or it might be an entire person. 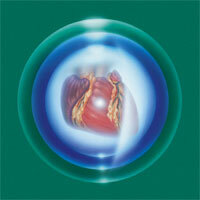 The healing thoughtform is a ball of energy - white light on the inside, surrounded by a thick layer of blue light, which in turn is surrounded by a layer of green light. The white-fire core purifies; the blue light is the flame of God's will, realigning the body with its divine blueprint; the green healing flame restores wholeness. Holding this thoughtform in your mind while you meditate or give healing mantras or prayers is very effective. Your thoughts have more power than you probably realize, and when we think of ourselves or a person as 'injured' or 'ill', we unfortunately just perpetuate that state of being, rather than taking control and changing the status quo with our consistent thoughts and affirmations. The healing thoughtform works by restoring Christ wholeness in your soul, then in your mind, and eventually in your body. Your body always manifests what is going on in the 'higher' parts of you (the parts we don't see - emotions, mind and soul). If you've learned about the violet flame in other contexts, it might surprise you to see it on a page about spiritual healing methods. The thing is, violet fire works in so many different contexts, it could really be called the universal spiritual tool. It might help to look at it like this: violet flame is the fire of the Holy Spirit which transmutes (changes) negative energy into positive energy. If you believe that everything is energy, as most people involved in new age spirituality do, then it makes sense that disease is a manifestation of negative energy (well, we couldn't really call it 'positive', could we?!) So if this negative energy is scrubbed clean and transmuted by the power of the violet flame, it follows that the ill state of being has to disappear too. has some good explanations of violet flame and healing). Something else to consider is that some illnesses are actually caused by karma. If this is the case (and you may never know the actual cause of the illness you're dealing with so assume it's the case, just in case), the violet fire can erase the karmic record that is creating the symptoms. My back is a back of violet fire, my back is the purity God desires. Don't just say the mantra once. Every time you repeat it, you build on the energy momentum, increasing the power of your words. I recommend saying it for a full five minutes while holding the visualization in your mind of violet fire interacting with the healing thoughtform. You might get results right away or might need to keep doing it daily. 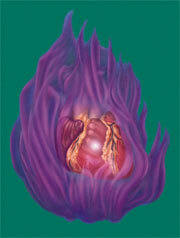 You can also try some of the prayers and decrees on the violet flame meditation page. 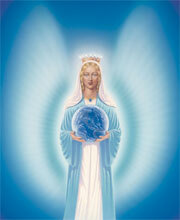 Archangel Raphael and Mother Mary are the angels of healing. Yes, that is the same Mary that gave birth to Jesus, and yes, angels do come into embodiment sometimes to fulfill particular missions on earth. 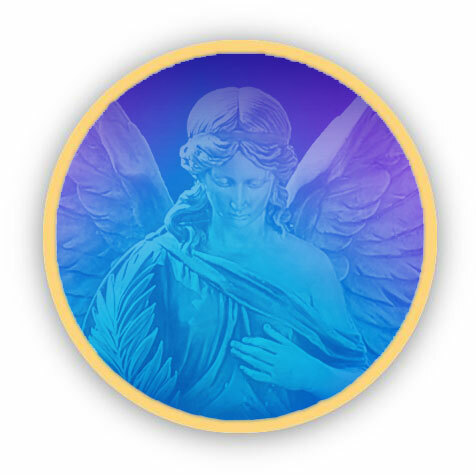 You can pray to Archangel Raphael and Mother Mary to intercede for yourself or loved ones in the healing of any condition. They will do as much as cosmic law will allow them to, taking into account mankind's freewill and the laws of karma. They are very powerful beings with great love for the people of earth and they have asked us to call to them when we need assistance. You can make up a prayer giving the specifics of the situation, or you can just say their names. I've taken to calling out 'Mother Mary, Mother Mary, Mother Mary', the minute I cut or burn my hands while working in the kitchen. (It's about all I can manage when I'm in shock). I've witnessed in myself and my family countless occasions of very rapid healing in situations like this. Of course, I always take the sensible physical actions like running a finger under cold water after a burn, but I can tell you that I've compared calling to Mother Mary and not calling, and there can be a difference of days in the speed of healing. Mother Mary's Rosary for the New Age is a powerful prayer that can be very effective in healing. Scroll to the bottom of the Spiritual Prayers page to learn about the rosary. Archangel Raphael and Mother Mary, help me, help me, help me! Radiating the Light of Spirit is a brilliant guided meditation from The Summit Lighthouse which focuses on purifying and restoring well-being to the four aspects of yourself - spiritual, mental, emotional and physical. Using a combination of all the techniques that you feel comfortable with is something I recommend and practice myself. There are subtle differences of effect in the spiritual healing methods on this page, and so the more you try, the more 'bases' you'll cover. I wish you God-Victory on your path to Christ wholeness.